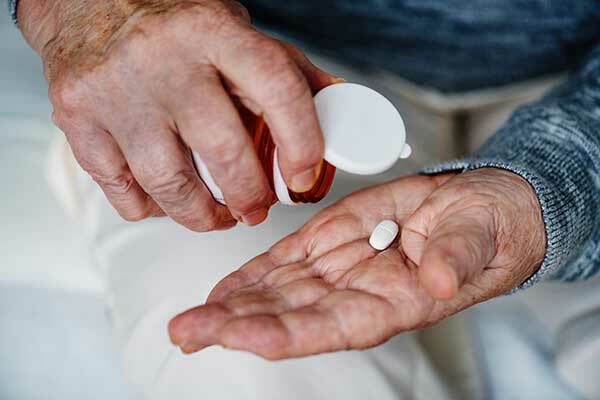 It’s National Poison Prevention Week so we wanted to take the time to point out common items that could pose as a risk to your children, pets, and even yourself. These can be harmful to anyone who’s not using discretion so be sure to keep it out of reach from your children and pets, preferably in a higher cupboard. Corrosive alkalis are commonly found in oven cleaners which if ingested or inhaled can cause severe gastrointestinal or respiratory distress. Did you know that the colourful dishwasher and laundry cleaning packets are a leading cause of child poisonings? In these circumstances children confuse the packets as candy. Unfortunately the high quantities of powdered chlorine can cause serious damage. Although convenient, non-stick cookware contains polytetrafluoroethylene which is part of the coating that prevents sticking. However, when heated this coating releases the gases of this dangerous compound. Household cleaners are some of the bigger offenders, containing several toxins such as ammonia which are especially hazardous to your respiratory health. Distributors are not required to list their ingredients either. 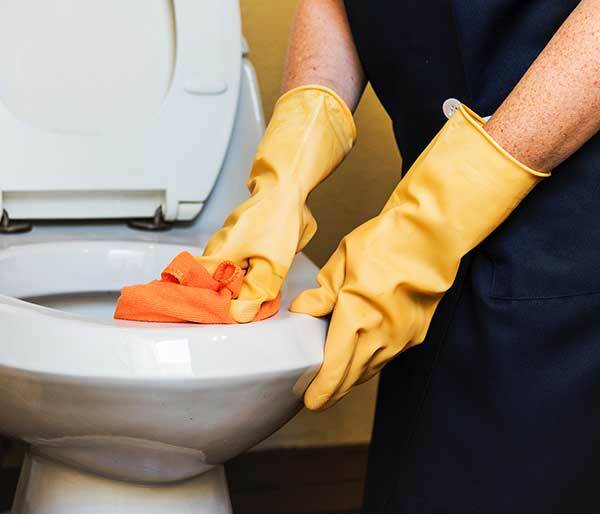 Even cleaners claiming to be “green” or “natural” could still be a risk to your health. Toilet bowl cleaner, for instance contains a strong acid which is why it’s effective but also why it can cause burns to the skin and eyes. We recommending doing your research to find a brand you trust or learn how to make your own. Do you keep mothballs in your closet or perhaps the attic? These are not something you’re going to want to keep around after this. Mothballs contain naphthalene which is known to destroy red blood cells and has been linked to cancer in animals. Not to mention, mothballs are small enough to present as a choking hazard to your pets and your children. Protect your pets and toss the mothballs! Old mattresses, couches, and carpet padding at one time commonly contained flame retardants. Now, opt for a mattress made of organic cotton or natural latex. Not only can extension cords put you at greatest risk for a fire, especially when run under furniture or carpeting, but they can also be mistaken as a fun chew toy for children and pets. Use your extension cords carefully by unplugging it and coiling it up after use to prevent accidents. Having essential oil diffusers are becoming quite the trend and just because they may be effective at relaxing you does not mean they have the same benefits for your pet. Never put essential oil on your skin, let alone a pet’s. Only use a diffuser in a large space where it can dissipate and only use a few drops of essential oil at a time with sufficient amount of water to dilute. 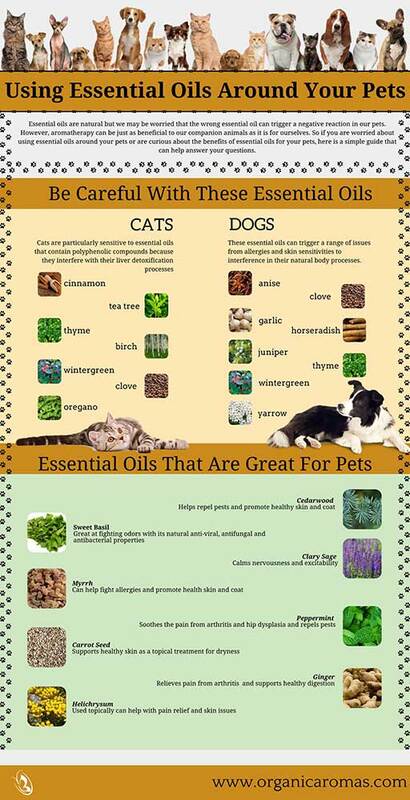 Please see the list of essential oils that shouldn’t be used at all around your cat or dog. These are known to contain VOCs, volatile organic compounds which can accumulate in the body over time and are known to disrupt hormones and reproductive health. To keep your home smelling fresh, consider using an all natural fragrance such as pet safe plants or flowers. Did you know that homes built as recently as the ‘70s may have been painted with lead-based paints? When it starts to flake we recommend giving your home a fresh coat asap to prevent the ingestion of these paint chips which can lead to lead poisoning. Batteries are small enough to be chewed on and swallowed by both children and pets. Aside from the choking hazard alone, the alkaline or acidic material can leak out, causing corrosive injury to your pets mouth and other body tissues. Plants look a bit like salad so it’s no wonder your pet might start munching. But just because it’s green and leafy and looks a lot like spinach, does not mean it’s safe for your pet! Keep plants lifted off the ground or on tables out of reach from your pet and children. 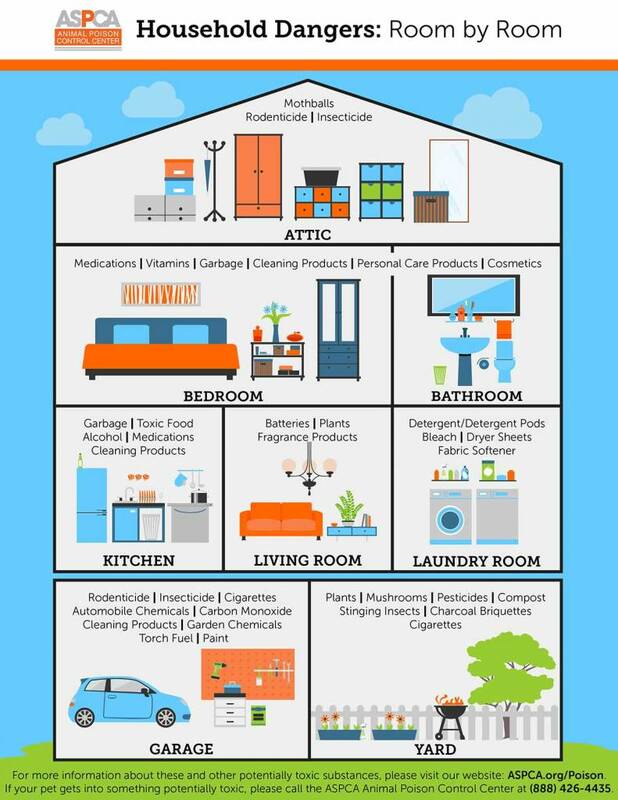 Our home should be the place we feel the most safe, but unfortunately many of our day to day items can be just as harmful as they are helpful. Put out your best effort to keep things as chemical and hazard free as possible and that starts with knowing what the risks are.